"Took stock of my appearance today. 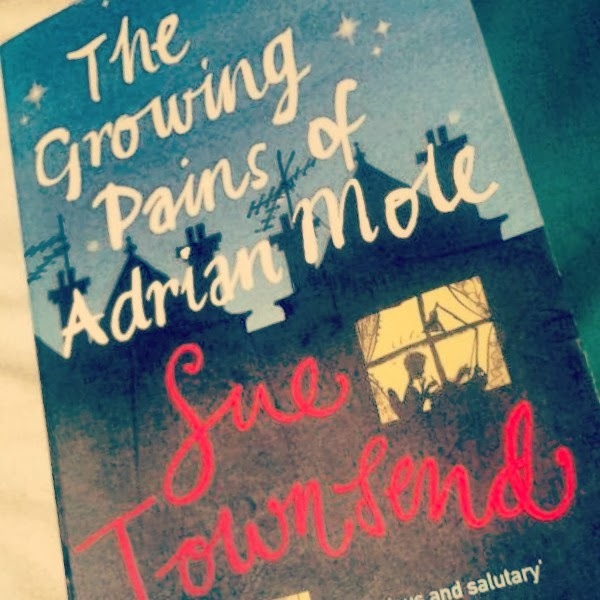 I have only grown a couple of inches in the last year, so I must reconcile myself to the fact that I will be one of those people who never get a good view in the cinema"
I have just discovered Adrian Mole by chance, in the second hand shop in front of my house. Well, if you want to read something easy and funny, this is the right book. I found myself laughing out loud many times while reading: it is hilarious! It is the story of a British teenager, dealing with growing up and family issues in a dramatic, yet hilarious way. The book is in form of a diary, so very easy to read. Surfing the internet I found out there is also a TV series, you can find it here on youtube (Although not as funny as the book I'd say).